Though he wouldn’t become known to many fans of the Marvel films until his appearance in the second Captain America solo adventure, the Winter Soldier has had a long and somewhat complicated history in the comic world. Originally known as Bucky Barnes, Steve Rogers' World War II-era best friend and sidekick, he would be thought dead for decades before reemerging as the mysterious Winter Soldier. 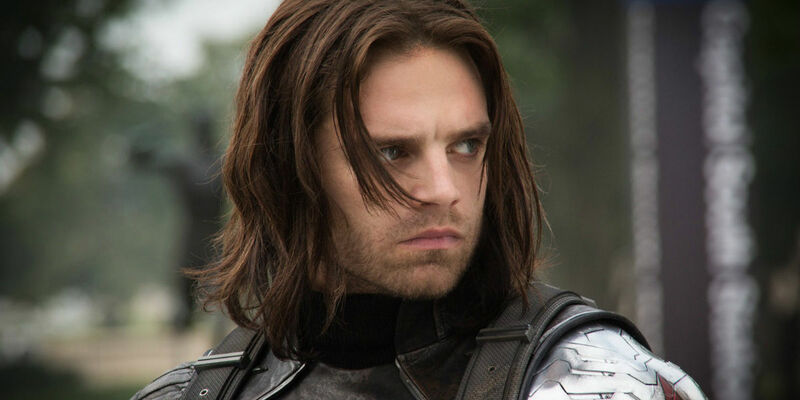 The decades between Bucky and the Winter Soldier would be explored in various comic storylines, helping to bridge the gaps between the two big periods of the character’s life. For those that may not have read all the comics, or are simply looking to refresh your memory, here’s 12 Things You Didn’t Know About The Winter Soldier. Bucky Barnes was killed during a mission in World War II, and seemingly would never return. The long dead character would resurface decades later in 2005 when he debuted in Captain America (Vol 5) #1. For a while, the true identity of the Winter Soldier was unknown. It was only after a climactic battle involving the Cosmic Cube that Bucky would regain his memories and have his true identity revealed. The guilt of his past actions would cause him to go into hiding for some time afterwards. During the many years that Bucky was seemingly dead, he had been operating as the Winter Soldier, a covert agent for the Soviet government. Suffering from amnesia due to the accident that was believed to have killed him, Bucky was given a cybernetic arm and brainwashed to hate the West and feel no emotions. The Winter Soldier was used on various assassination missions and spy missions all over the world in the decades that followed, killing everyone from heads of states to former costumed heroes. During one mission in the United States, he would suffer a breakdown and go missing for several days after assassinating his target. For a long time in the world of comics, it was pretty much understand that anyone who died would probably come back — with the exceptions of Bucky, Uncle Ben (Spider-Man's infamously ill-fated family member), and Jason Todd (Batman's second sidekick, who had been viciously murdered by the Joker). This would come to be known as the “Bucky Clause,” as it was pretty common for comic characters to die and come back to life a few months later, but these three characters had died, and most importantly, stayed dead for decades. The connection between these characters was of course their direct ties to the growth of the superheroes they were associated with. After all, without Uncle Ben's "With great power comes great responsibility" quote banging around in Peter Parker's head after his tragic death, would he ever have become the famed web-slinger? Interestingly, all three of these long dead characters would be revived in 2005, with only an alternate universe Uncle Ben not currently playing a big part in their respective comic universes. During the comic book storyline Civil War, Captain America and Iron Man came to blows over whether heroes should have to report to the government. The conflict would eventually end with Steve (realizing he wasn't representing the will of the American people) surrendering to Iron Man’s forces and being put on trial. The trial would be cut short, however, when Steve is shot and seemingly killed. After reading a letter from Steve stating that the Captain America mantle should be taken up by another, Bucky is convinced to pick up the shield by Tony Stark. Though Steve would, of course, later come back to life, Bucky’s time as Cap would see him take on a more prominent role on several superhero teams, as well as the Marvel Universe at large. During his time as a Soviet operative as part of Department X, The Winter Soldier would have a relationship with the Black Widow. Natasha Romanoff was part of another Department X program, “Black Widow Ops,” that trained her in combat and espionage. During that time, she would do some training under the Winter Soldier, and a brief romantic relationship would blossom. The two would later meet after Bucky regains his memories and begins to operate in part with S.H.I.E.L.D. and the Avengers. They would even rekindle their relationship to various degrees, and the two worked together on various operations over the years. DC Comics always seemed to have the market cornered when it came to teenaged sidekicks, as Marvel heroes typically had older accomplices, if they had one at all. For decades, this was justified by Bucky and his death, with Stan Lee and other creators rationalizing that in the Marvel Universe, it was seen as incredibly irresponsible to put the life of a teenage in constant danger by having them be a superhero sidekick. Others, like Jack Kirby, liked the idea of a teenage sidekick and even would’ve liked Bucky to come back sooner, as they felt teenage sidekicks made comics relatable to teens. As evidenced in the fight scenes in Winter Soldier, the left arm of Cap's former sidekick is a formidable weapon all its own. After being damaged in the accident that led to Bucky being captured, his left arm was amputated and replaced with a cybernetic prosthetic. Due to the prosthetic, the Winter Soldier has enhanced strength and faster reaction time, along with the ability to fire electromagnetic pulses from the palm of his left hand, something that comes in handy against foes that rely on technology, like Iron Man. The prosthetic can also function even when it’s not attached to Bucky, adding another trick to his arsenal. So far, neither of the latter two abilities have made their way onto the big screen, though the Wakandan government could always help him out with an upgrade. The Winter Soldier and Captain America are both men that fought in World War II, but don’t seem to have aged a day. Where Cap has his Super Soldier Serum (and the whole, being frozen in ice for decades thing) to keep him young, Bucky has maintained his relatively young appearance because he was put in cryogenic stasis between his various assassination missions. Due to only really being awake and active for sporadic days at a time during the decades that he operated as the Winter Soldier, he doesn’t look like the nearly century old soldier that he is, but rather the youthful man that he was during WWII. Not everything the Winter Soldier did during his years of working for the Soviet government was assassinations, though that was (of course) a major part of it. He would help Wolverine escape from the Weapon X laboratory, something Wolverine wouldn’t be made aware of until years later. He would also be responsible for killing Wolverine’s wife Itsu and their then unborn son Daken, though Daken would later prove to have lived through the attack. Winter Soldier would also help Wolverine again years later when Daken was out to kill his father. The two fan-favorite antiheroes have what turns out to be a pretty long history together. While the Winter Soldier is an American soldier who’s used as a covert assassin by Soviet forces, Sebastian Stan, the actor who portrays him in the Marvel Cinematic Universe, was born in Romania to parents who had dealt with Soviet rule. Stan was raised to dream of the ideals of America — the land of freedom and opportunity, the chance to make any dream a reality - that his family promoted around in the household. Stan’s family would later relocate to New York City. It was that notion that made his parents support him so much with his acting, believing he could truly do anything he wanted. We have to imagine that his backstory played a part in Stan landing a role. After all, we know Marvel has a knack for digging a bit deeper to find the right actor for a role. While we can all pretty much agree that Chris Evans is a near perfect Steve Rogers/Captain America, he, of course, wasn’t the only one to try out for the role when casting began. Several other well-known actors took a run at landing the Star Spangled Avenger gig, including John Krasinski (The Office) and Ryan Phillippe. It turns out that Sebastian Stan also auditioned for the role of Steve Rogers, though he ultimately wouldn’t get the part of course. Instead, Kevin Feige and Stephen Broussard would ask Stan to talk about another role, that of Cap’s best friend Bucky Barnes. After discussing Bucky and his various comic storylines and character arcs, Stan said he was very attracted to the role and thought there was a lot to play with there. Not a bad consolation prize for the up-and-coming actor. As with the comics, it seems pretty likely that Bucky will one day take over the role of Captain America from Steve Rogers. The films following the comics and potentially killing Cap and the fact that Winter Soldier is becoming an increasingly more important character with each appearance is one indication, but more clear-cut evidence exists within the actors' contracts themselves. Chris Evans’ contract is set to expire after Infinity War wraps up, meaning we may not see him behind the shield unless he decides to renew it. If he doesn’t renew, or even if he does and Marvel just wants to go a different direction, it’s quite likely that we’ll see Sebastian Stan — who infamously signed a 9(!) picture deal with Marvel when he first came on board — take up the shield. How would you feel about Sebastian Stan becoming the next Captain America? Let us know in the comments.